I thought I’d give this alternate view of VMworld since this was my first one in the US of A. The event itself was pretty much as I expected but I can’t stress enough the power of the ‘Community’.So what’s all this community chat and why is it important ? I met a lot of people at VMworld, some of which I only knew on Twitter, so it was an opportune time to finally connect. Attending the OpeningActs presentations hosted by vBrownbag and VMunderground was a really good way to connect with people and also listen to presentation in an informal setting. I met most of the vBrownbag personnel and also connected with people I’d met at previous events. The blogger space at VMworld was also a good area to hang out and I caught up with new bloggers and also some familiar names like Howard Marks and Chris Evans to name a few. Attending the vExpert party was also an eye opener for me as I met a lot of vExperts whom I’d never met before from different parts of the world. Corey Romero and Eric Nielsen delivered an excellent presentation about the vExpert program and the current benefits and future state for the program. It was good to meet Corey and also say a quick hello to Eric. 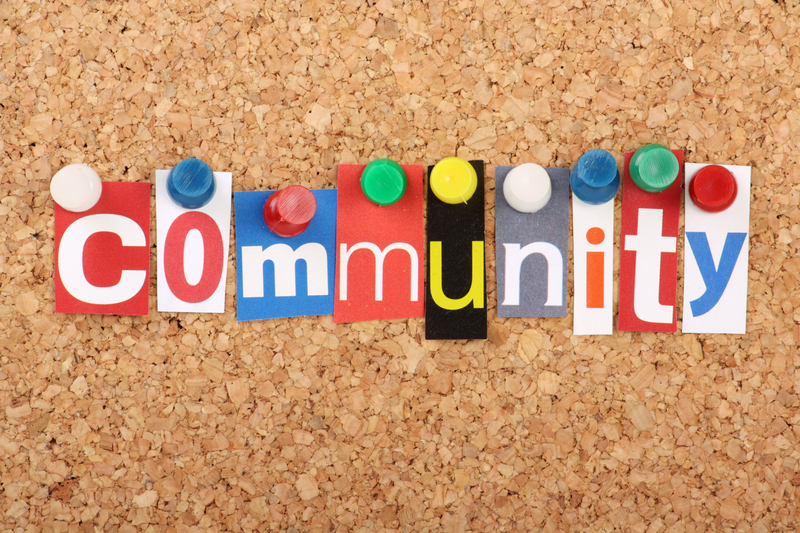 They do some outstanding work for the community and the VMTN community roundtable is a great podcast to listen to each week. I also bumped into Matt Brender, one of the co-presenters of the Geek Whisperers podcast, and it was good to see him and let him know how well received the podcast. Unfortunately I didn’t get to chat with John Mark Troyer or Amy Lewis but I’m sure it will happen soon. 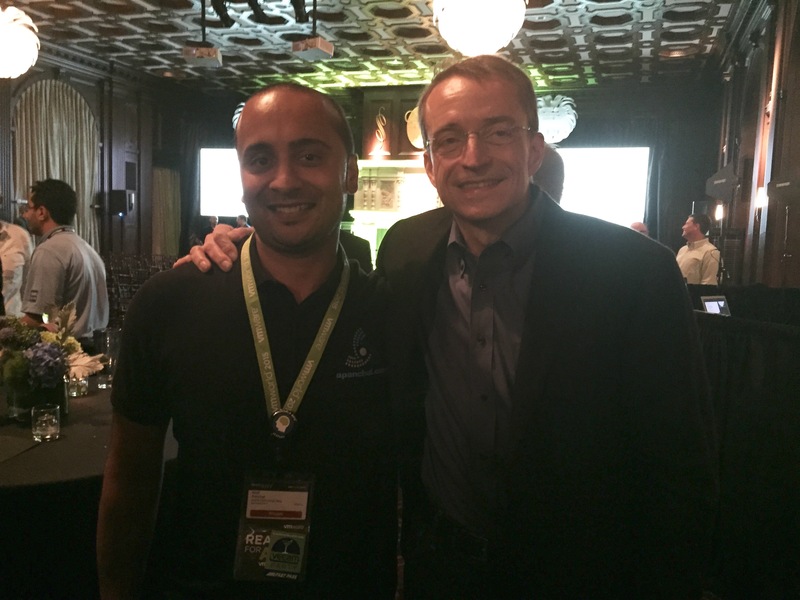 An impromptu presentation by Pat Gelsinger followed which took me by surprise as he was expected a lot later but he was keen to reiterate that it was the community and vExperts that have to be commended for evangelising the VMware message. I was also lucky enough to meet him and have a photo taken. The thing that struck me most about this visit was how friendly everyone was and willing to talk if only for a few minutes. Meeting a lot of the US bloggers was great because it showed a true International spirit in the way everyone was engaged. I’d say that Damian Karlson aka Sixfootdad and James Bowling aka vSential did a great job on the various panels I saw them on throughout the week and really made the vBrownbag talks shine. Very funny and also serious guys with a passion for technology. One of my personal highlights was meeting Chad Sakac (President of Global Systems Engineering) where he delivered a question and answer session at the EMC booth. I was lucky enough to have a 1:1 with him after the presentation and it was awesome to meet one of the leaders in my organisation who congratulated me on my move and also encouraged me to continue blogging and picking up new skills. If you don’t contribute and stay a ‘reader’ forever then you will miss out on a huge opportunity to network and also reach out for help when you need it the most (be it in a technical or business sense). I would encourage my readers to think about how you can either start a blog or start contributing to twitter conversations as it is through this medium that I was able to stretch my imagination and broaden my horizons. Being a vExpert isn’t just about credibility in the industry or the ability to pick up lots of software licenses for free. It means engaging and sharing with the community as well as promoting discussions that are pertinent to the ever evolving virtualization landscape. Virtualization, SDDC and Containerisation are moving at such a fast pace that if you don’t jump onto the conversation now then you may miss out on key changes in the industry. If you need any other advice in this area, feel free to reach out by leaving a comment or messaging me through the Twitterverse.